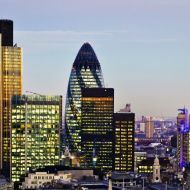 UK ranked sixth out of 189 countries by World Bank for 'ease of doing business'. Singapore, New Zealand and Denmark are the top three business-friendly countries. UK Government has target of reaching top five. 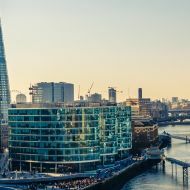 The UK has climbed to sixth place in the World Bank’s rankings of business-friendly countries for 2016. The ranking puts the UK ahead of the US (7th), Australia (13th), Sweden (8th) and Japan (34th). The World Bank’s Ease of Doing Business report, which looks at the impact of regulation, bureaucracy and the nature of business governance, ranked Singapore in first place, with New Zealand and Denmark taking the second and third spots. The UK’s economy is now growing faster than any other G7 nation. Last year, the UK was ranked eighth. Commenting on the report, UK Business Secretary Sajid Javid said that the Government had a target of reaching the top five. The World Bank Ease of Doing Business Report 2016 ranked 189 countries. African nations Libya and Eritrea were ranked at the bottom of the list.